Jose Dominquez Cigars - Buy Premium Cigars Online From 2 Guys Cigars . This new line comes to us from a factory in the Dominican. The Connecticut Shade is mild to medium with hints of cedar that come from the cedar wrapper which surrounds each cigar. The Maduro is more rich and combines a subtle earthiness with a slight hint of cedar. 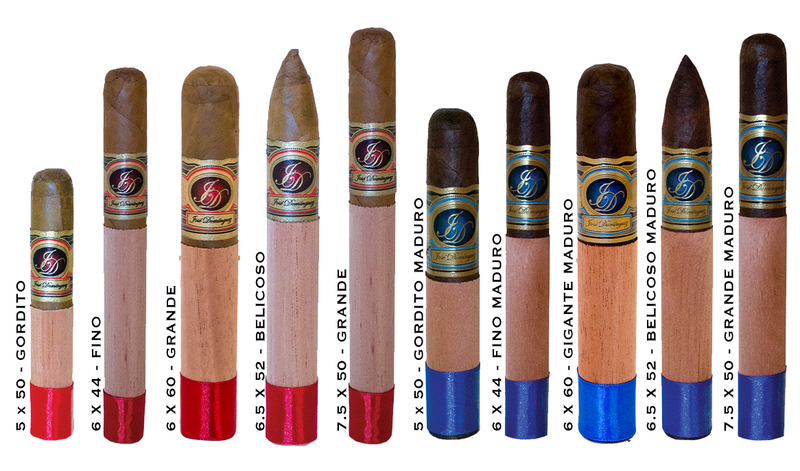 Whichever blend you choose, it is a great everyday cigar.